Each item from Davis Leatherworks is custom made to suit your needs! We strive to source all of our materials and leather from small, family-owned businesses here in the United States, thereby promoting local economy. 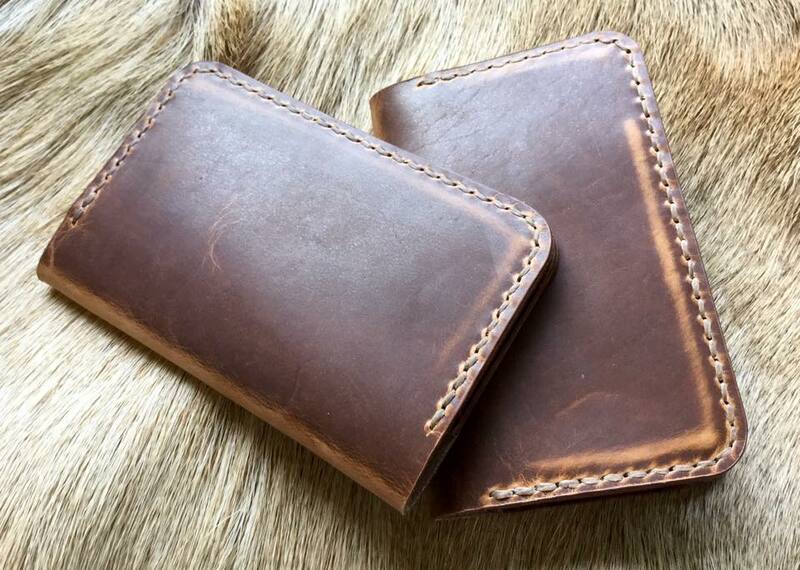 Thereby, placing your order with Davis Leatherworks not only helps keep us in business, but also helps support other small businesses along the supply chain. We source leather form Horween of Chicago, IL, Thoroughbred Leather of Louisville, KY, Hermann Oak of St Louis, MO, and Wickett & Craig of Curwensville, PA. All of out products are hand-sewn using waxed polyester braided cording form the Maine Waxed Thread Company in Lewiston, ME and source solid brass and nickel hardware from Buckle Guy in Topsfield, MA. Davis Leatherworks does NOT have a retail location and is open to the public BY APPOINTMENT ONLY.